I confess admiration for the PR mind that developed the phrase “pardon our progress.” Generally speaking, construction projects are flat out inconvenient, but we can put up with it if we know that the end result is desirable. We have lockers at the law school. That seems a bit like middle school, but hauling massive casebooks around on a daily basis makes one appreciate having a place to store such heavy luggage. This year, we are installing new lockers at the law school. In the past, student shared a locker, but the new lockers will allow each student (who wants a locker) to have one of her or his own. The challenge has been the timing of the locker installation. Because it could not be completed amid the other construction projects over the summer, installation was pushed back until… well… now. As a result, our 1Ls were not assigned lockers during orientation, and our 2Ls/3Ls have had to clean theirs out for the removal of the old and the installation of the new. Thankfully, we are making great progress and hope to have the new lockers ready for assignment one week from today. HERE is a blog post with a picture of the new lockers from Phil Bohl, Assistant Dean for Information Services, who oversees this project. We’re just finishing up with Family Day! When I conduct exit interviews with our graduates, “the faculty” is the number one response to what was positive about their Pepperdine Law student experience. Last night, I was struck by how the faculty transitions from one generation to the next. I had the honor of attending a retirement reception at Dean Tacha’s house honoring Professor Janet Kerr and her thirty years of service on the faculty. Immediately afterward, I went to the home of Professor Jim Gash, who has served on the faculty during half of Professor Kerr’s teaching career — and in fact, was a student of Professor Kerr’s in his days as a Pepperdine student. At Professor Gash’s, I heard Professor Derek Muller deliver an excellent lesson on “forgiveness” to the forty or so students gathered for a midweek Bible study — Professor Muller’s teaching career is just getting started as he begins his third year on the Pepperdine faculty. Musician John Mellencamp once wrote: “There is nothing more sad or glorious than generations changing hands.” Last night, I witnessed the glorious part. Earlier today I had the opportunity to engage future lawyers during the Cal State University of Dominguez Hills Graduate Fair. 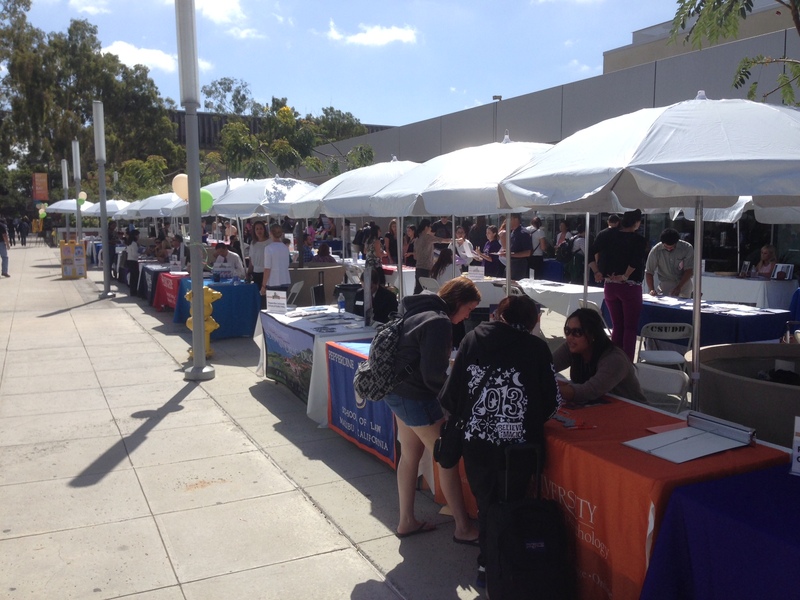 In all over 50 schools were represented across various academic schools and disciplines. The next wave of law students seem to be excited and ready! Today I heard from students passionate about practice areas like criminal law, immigration, entertainment law and public interest. Over the next two months Pepperdine representatives will be visiting campuses all over the country to share with potential students the great attributes of Pepperdine School of Law. 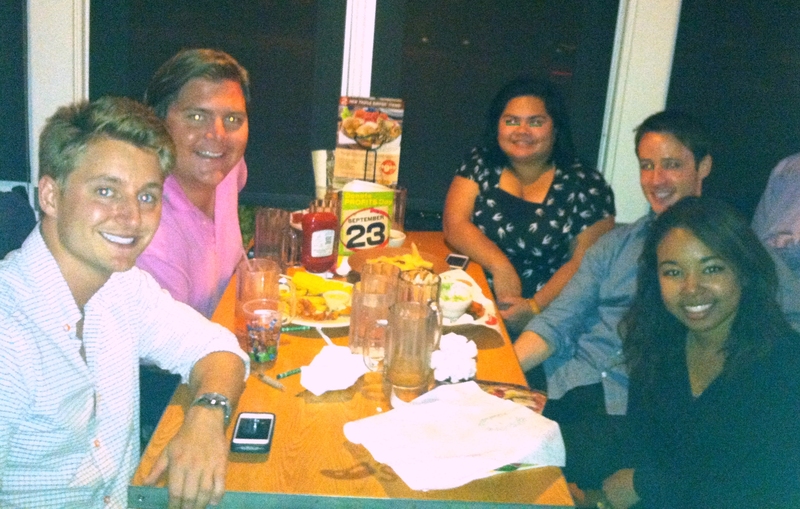 Last night, the Shepherd Chapter of Phi Alpha Delta Law Fraternity, one of our student organizations, organized a dinner at Chili’s Grill & Bar to help raise money for St. Jude’s Children’s Research Hospital. Yesterday, all over the nation, Chili’s donated 100% of their net profits to St. Jude’s. 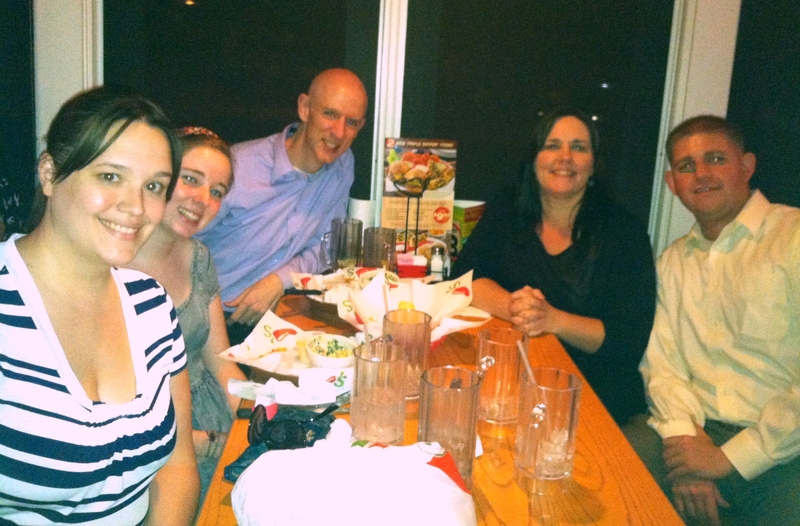 Last night’s event was open to anyone, so I took advantage of the opportunity to take my wife and youngest daughter out for dinner where we had the pleasure of sharing a meal with several fantastic law students. Special thanks to Katherine Schober (PAD president) and Janette Blair for organizing this fun (and yummy!) night out for such a good cause. Professor Jim Gash and his family play host to a weekly Bible study at their house each Wednesday evening — a tradition that has gone on at Pepperdine Law for many years. Last Wednesday, Jim’s friend (and New York Times best-selling author — and Pepperdine Law adjunct professor), Bob Goff, spoke to a large crowd. HERE is a link to Professor Gash’s blog on the turnout. Family Day was created because of the high value we place on family relationships. 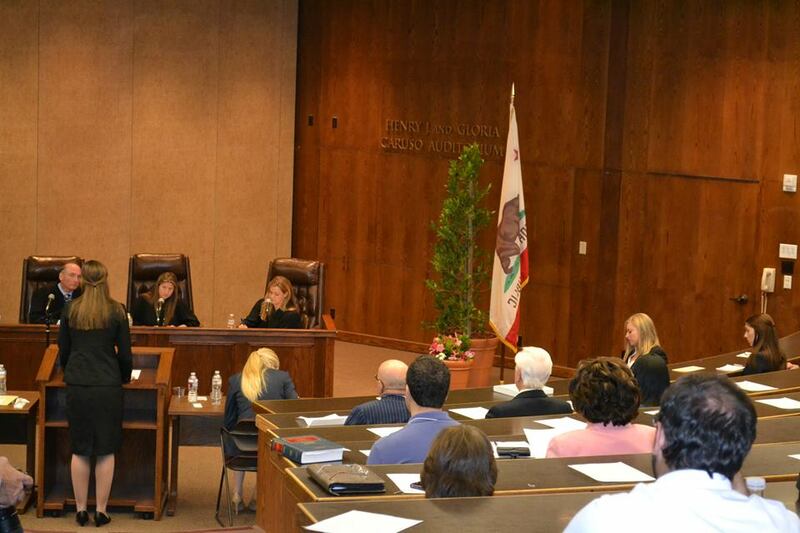 You, as family (and friends), are such an important part of the life of the Pepperdine law student in your family. As such, we see you as partners with us in making sure that all of these law school experiences are positive and nurturing for the student. You will be welcomed to a classroom setting where you will be able to achieve an important level of understanding of the daily activities of a Pepperdine Law student. 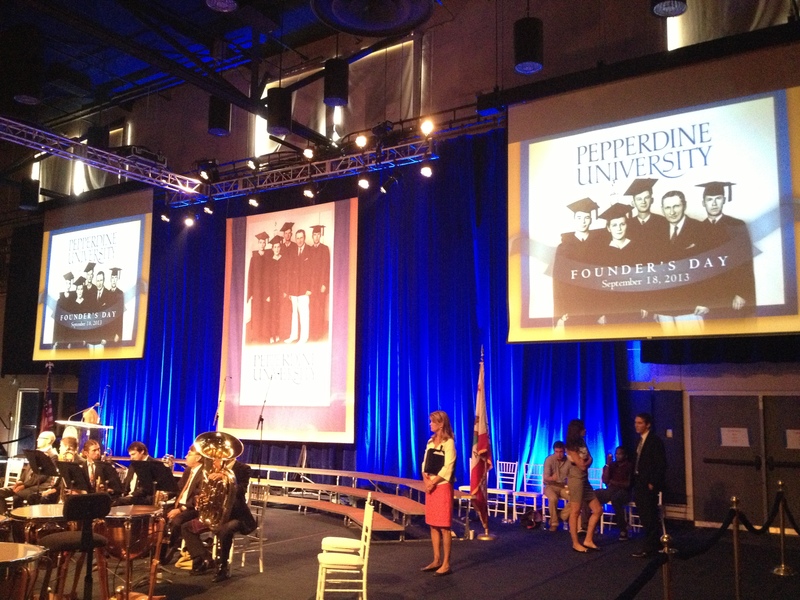 Today is a very special day for Pepperdine University. Some 76 years ago this September, on a sunny afternoon that chased away the clouds of the Great Depression, Christian businessman George Pepperdine opened a brand new college at 79th and Vermont in Los Angeles, investing his fortune and faith in the promise of a life-changing education. Today’s celebration, simply called ‘Founders Day’ calls the university back to its roots with a reading of Mr. George Pepperdine’s Dedicatory Address from 1937, a performance of John Williams’ “The Champions” by the Pepperdine orchestra and concert choir, a recitation of memorable quotes from Pepperdine’s history, and remarks by President Andrew K. Benton. Please join me in congratulating Professor Paul Caron on being named as one of Accounting Today‘s 100 Most Influential People in Tax and Accounting for the eighth year in a row. You can read about it HERE — most appropriately — on Professor Caron’s famous blog!